I sure had fun creating this one! These little critters are really cute and I thought this could even be considered a little more masculine. Thanks for stopping by and have a super day! So cute! I love the fringe grass. 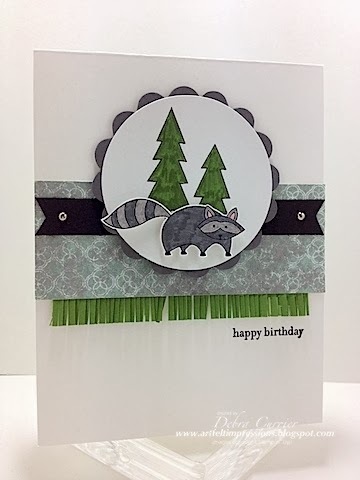 Cute, cute card, Deb! I may have to get those fringe scissors after all! CCMC Preview Project and Blog Candy!